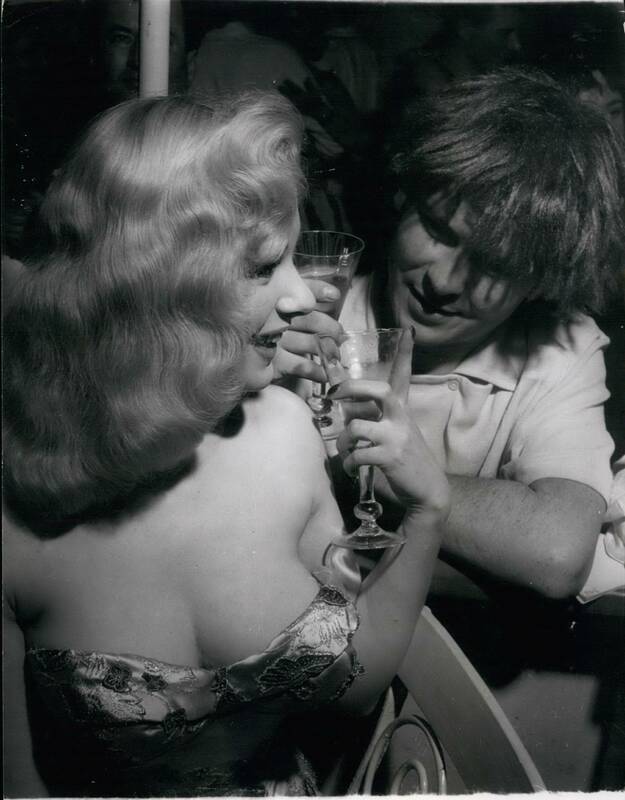 She was a brassy blonde whose cleavage was a ticket to fame and fortune. She played dumb and acted smart. She was a one-woman industry with a one-word name: not Jordan, but Sabrina ((19 May 1936 – 24 November 2016). 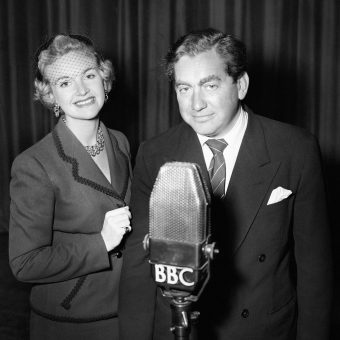 Before she was Sabrina, she was Norma Sykes of Stockport, Cheshire. A junior swimming champion (breaststroke, naturally) at the age of 12, she might have become a ‘golden girl’ of the pool. Alternatively, she could have ended up working at her mum’s B&B in Blackpool. An attack of polio changed everything. Two years in hospital (where doctors operated and considered amputation) were followed by months of rehab in the pool and gym. What didn’t kill her made her stronger, and her well-developed arms, legs and pecs would serve her well when she upped sticks and headed for the Smoke at the age of 16. 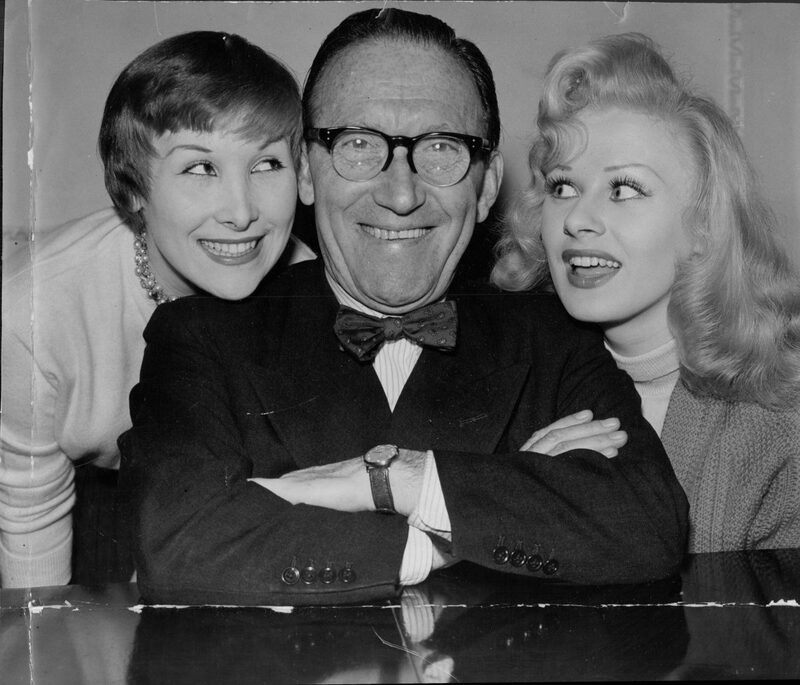 Comedian Arthur Askey Pictured With His Daughter Anthea And Actress Sabrina. 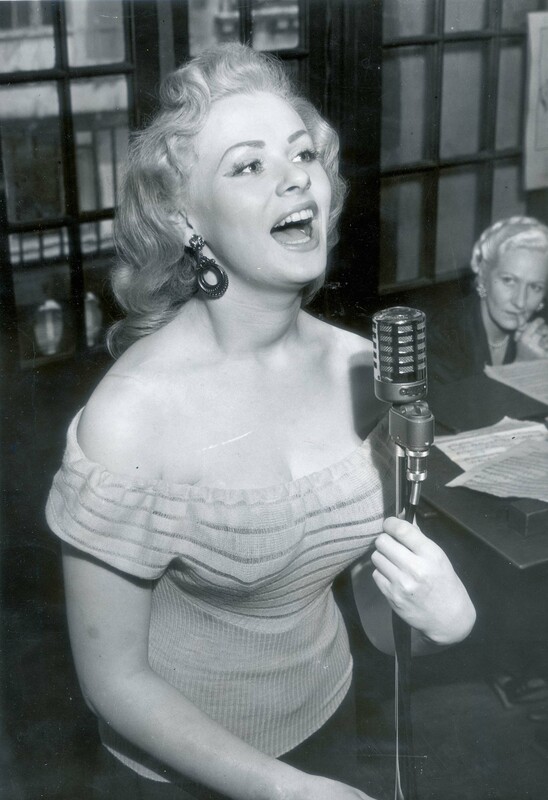 Actress And Fifties Glamour Model Sabrina (norma Ann Sykes) Pictured Singing. The big break came two years later in February 1955. Arthur Askey was fronting a BBC television show, Before Your Very Eyes, and he wanted a ‘dumb-cluck’ for comic purposes. Norma was in the right place at the right time. She was 18 years of age, with a new hair colour (peroxide blonde), a bigger-than-ever bust (42 inches), a smaller-than-ever waist (17 inches), and, courtesy of Askey, a new name that nobody would be allowed to forget. 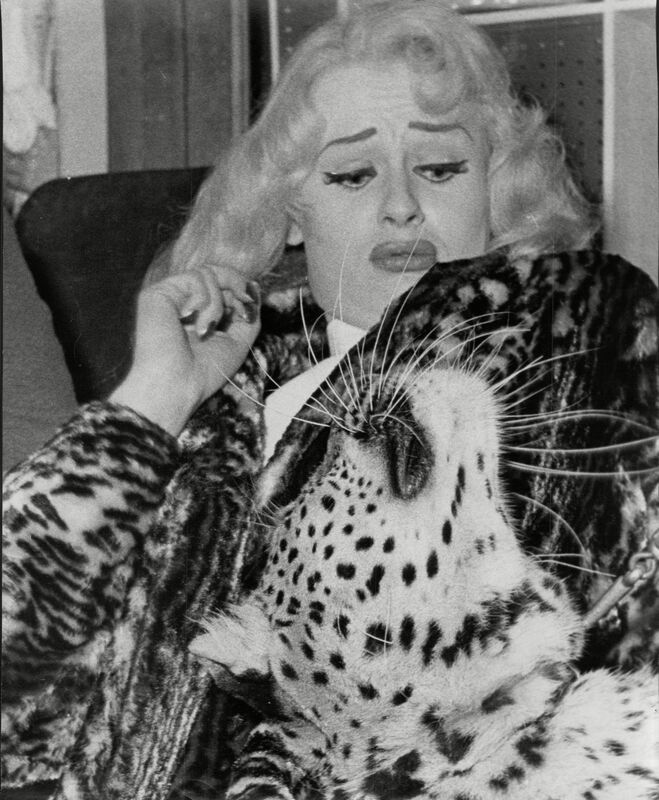 If Sabrina’s physical appearance was remarkable, it was nowhere near as remarkable as the fact that she was appearing on national TV at all. Here was a woman who, as Askey himself put it, “could not act, sing, dance, or even walk properly”. Her total contribution to the programme was to speak one solitary line and wander around in a tight dress. 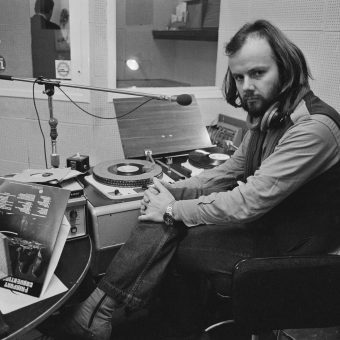 Yet that was enough to start a revolution in the staid world of British showbiz. 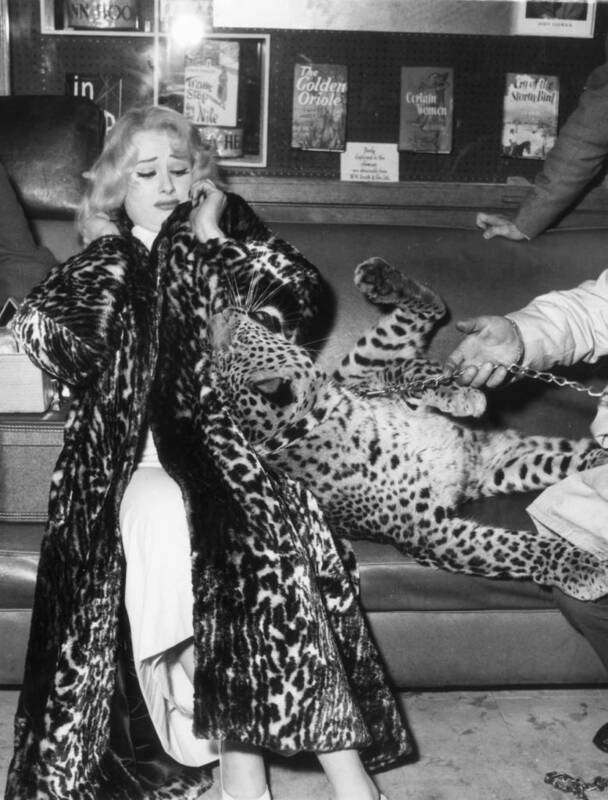 2nd March 1958: Glamour model and actress, Sabrina, wearing an animal skin fur coat, recoiling from the attentions of a leopard cub on a leash. 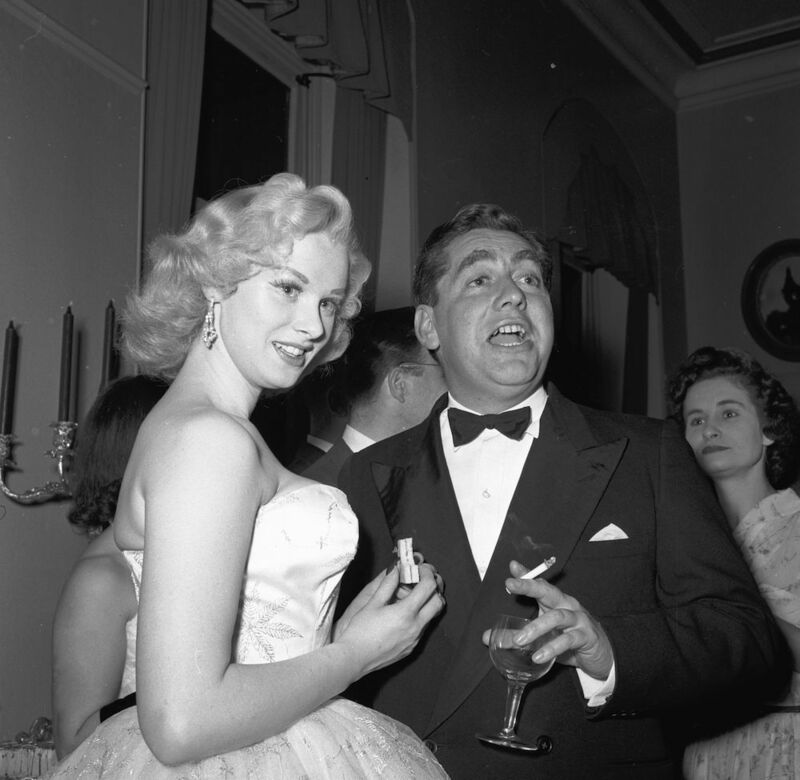 1955: Sabrina, Britain’s answer to Marilyn Monroe, snatches a sandwich as she chats with British comic Tony Hancock during a function at the Royal Albert Hall in London. After this initial success, Sabrina began to turned up in the unlikeliest of places. Those who complain of the dumbing-down of academia, or the Spice Girls’ prominent role in Nelson Mandela’s birthday celebrations might be surprised to learn that Sabrina was a trailblazer in this field too. In 1959, for example, she received an honorary doctorate from the University of Leeds, and the following year she ruffled feathers in cold-war America by meeting Fidel Castro in Cuba. 1st May 1965: A wax head of Frankenstein and torso of film starlet, Sabrina at Gem’s (Wax Models) Ltd, in the Portobello Road area of west London. The company makes store mannequins and models of all kinds for exhibition all over the world. When considering Sabrina’s unlikely fame, it is tempting to wonder whether this was the inspiration for the colloquial use of the word ‘talent’ as a collective noun for attractive well-built women. Sabina herself certainly appreciated the irony of her situation, and her initial reaction to success suggests that she shared the general bafflement. After her first television performance she was a model of self-effacement. “I’m just a dumb blonde,” she told reporters. The truth, of course, was that Sabrina was nothing of the sort. She went along with the public image for as long as it suited her, but she was always looking ahead. Two years later, she was asked what ambitions she harboured. “Literally everything,” she replied. 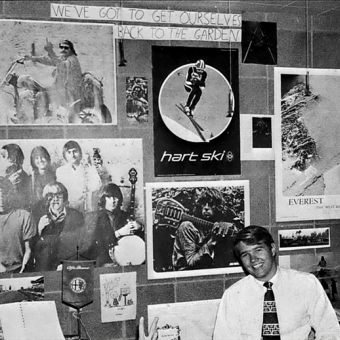 Her subsequent career, while not quite achieving “everything”, still stands as a testimony to her shrewdness, determination, and self-reliance (she never had an agent). Her real legacy, however, is not her work on stage and screen. 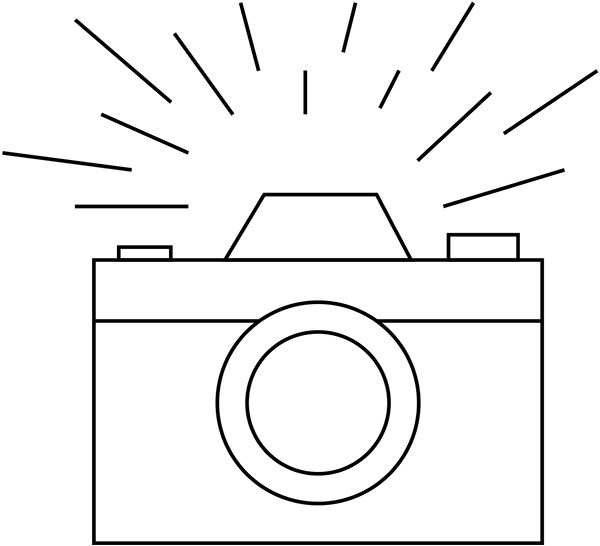 It is the way in which she rewrote the rulebook of fame. It can be seen today in the young Normas and Katies dreaming of becoming tomorrow’s Sabrinas and Jordans, and looking for the shortest possible route from Z to A. Blame Arthur Askey, I say.